Minto Cup 2018 in Calgary has come to a close and I would be remiss in not closing off this blog series, especially with a loss. What an exciting tournament for lacrosse and our family! Picture this- Bruce and Wayne’s two families coming together for a fun weekend at the Wanless Family cottage and an opportunity to cheer Josh and the Excelsiors on as a unit! The quest started at about 2 pm on Saturday afternoon, when the final series was coming into game 4. The Excelsiors had previously lost to the Coquitlam Adanacs 11-9 and 8-6 in the first two games, and then came back in game 3 on the Friday night to win 12 to 8. We are back in action!! With no internet connection at the cottage, we were able to keep tabs on Friday nights game through my cousin Michael, who was glued to Pointstreak in the North West Territories feeding us play by play scores and penalties via text. But for game 4, since this was ado or die game, we thought best to venture out into town and see if we can find a venue to watch the game on the big screen. And as you can see we did. Stud Lonigans in Wasaga Beach supported the cause and allowed us to take over the big TV and stream the game. And what a game! Losing in the 3rd period our boys came back to tie the game 8-8 with minutes left in the game. The crowd was cheering so loud, cousin Michael claimed to have heard us in the NWT. So much fun! The game was now into over time, and the beers were flowing as we were are all glued to the TV. In the end the boys almost pulled the rabbit out of the hat but didn’t quite make it. Were we sad and disappointed? Yup, for about a minute, and then our pride for Josh and all he has accomplished and gratefulness started to flood through. Because here is the thing. We all know the value of sport and what it brings to athletes who play sports- leadership, teamwork, learning how to win and lose with grace- the list goes on. Sure, it is always more enjoyable to win. I am not going to tell you that we were glad we lost, but without the losing team, there is NO game. And being the losing team does so much more! Remember, sports is about growth and enjoyment, not just enjoyment. Olympic and professional athletes who work in the motivational speaking industry talk not about the time they won but about what adversity has taught them. They speak of loss as a thing that has helped them to grow as an individual, to build both strength, character and a deeper understanding of who they are as a person. It has nothing to do with what they lost, but what they gained. In our case it brought an already close family even closer together. 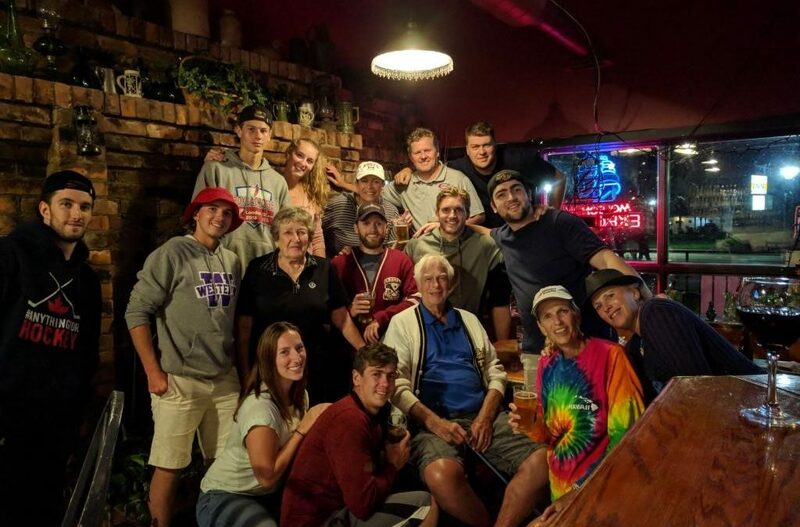 We all now have a story about the Minto Cup Game in 2018…”remember the time we went to Stud’s to watch Josh at the bar”… For us it brought comradery, collaboration and a re connection with our lacrosse community. Sports really is about building a community that supports the wins and the losses. My experience with Brampton Lacrosse, and the lacrosse community as a whole has done just that. From the first time I stepped into an arena (which was the day I learned to walk), until now, and I really don’t see it changing any time soon. Thanks to the sport of Lacrosse, a deeply spiritual game at its core. Given to us by the Creator as a medicine game and healing for the people…win or lose.